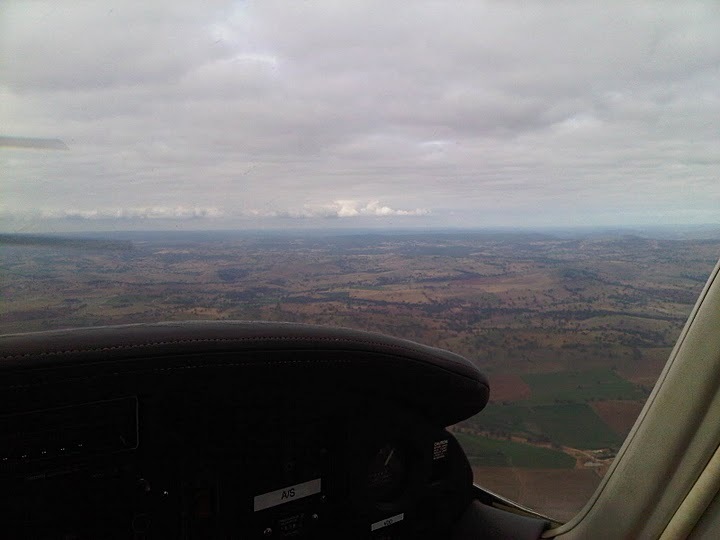 Did a nearly 4-hour return flight in NFR today to Cowra, Orange and back. 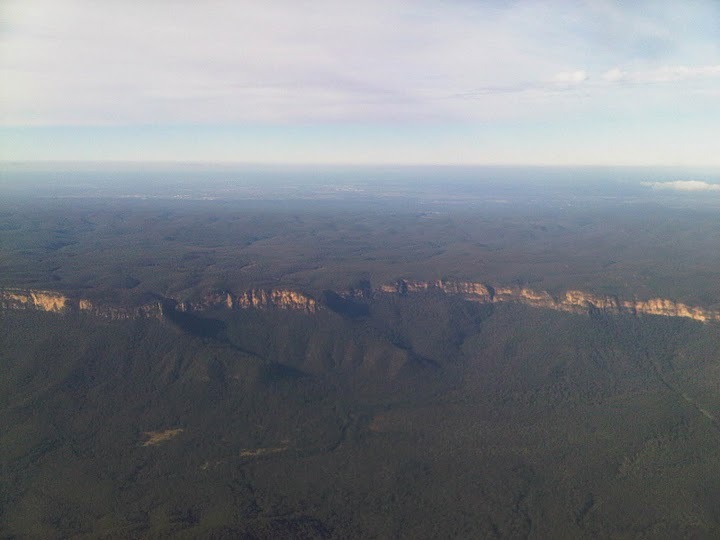 I won’t blog as extensively as I did for my first trip to Cessnock, but will try to debrief on notable features of the trip as I recall them. 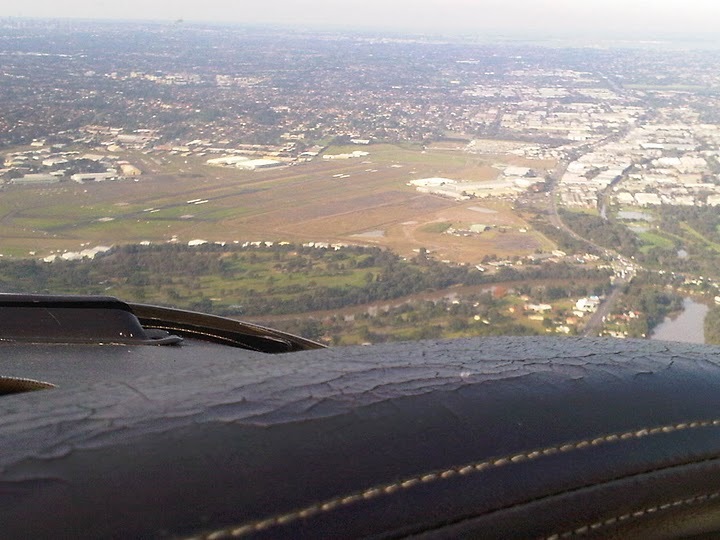 Took off at about 10.15am, interestingly fro Bankstown’s runway 29C (two nine centre). I don’t normally take off or land on this, but 29R was under maintenance so they had arrivals and departures on 29C. Longer runway than either of the other two. 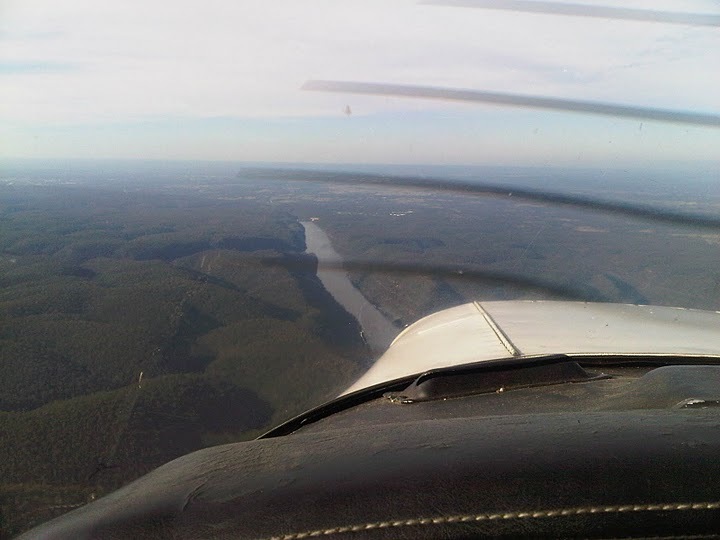 Left turn over the railway tracks and we tracked direct to Warragamba Dam, climbing to 4300 feet. 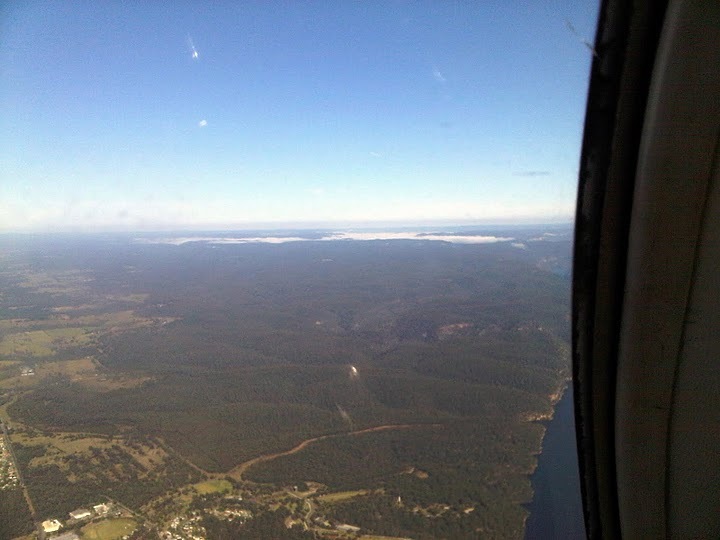 Over Warragamba we maintained heading of 259 degrees and, climbing to 6500 feet (few clouds around 4000) we tracked direct to YCWR (Cowra). No question that the NDBs (Non Directional Beacons) help you stay oriented, but it’s good not to rely too much on them if they fail. I was trying to keep a good track via dead reckoning, and I applied a reasonably successful track correction at one point, but our club CFI likes pilots to use all nav aids available (safety I guess), so it’s kind of a double-think thing you have to develop. 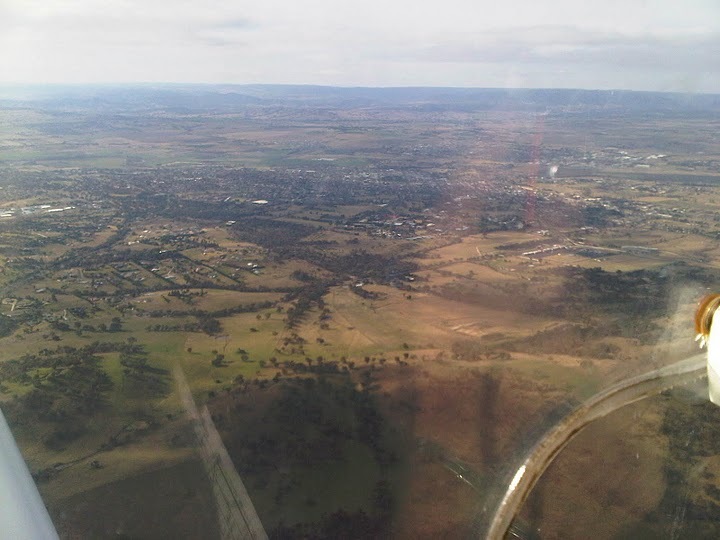 Along the track we noted Blayney and Mt Canobolas to our right, and the Blayney Wind Farm and Mt Misery to our left. Closing on Cowra, we overflew to determine wind direction, then decided to do a touch-and-go landing and then track to YORG (Orange) where we were more confident of the fuel situation. Tracking to Orange we kept well clear of a designated danger area to our left, being an open cut gold mine, which (allegedly) presents danger to air traffic up to an altitude of 8500 feet. Landing at Orange coming in from the west (on Orange’s notably up-sloping single strip runway), we backtracked and taxied to park next to the airport’s AVGAS bowser. 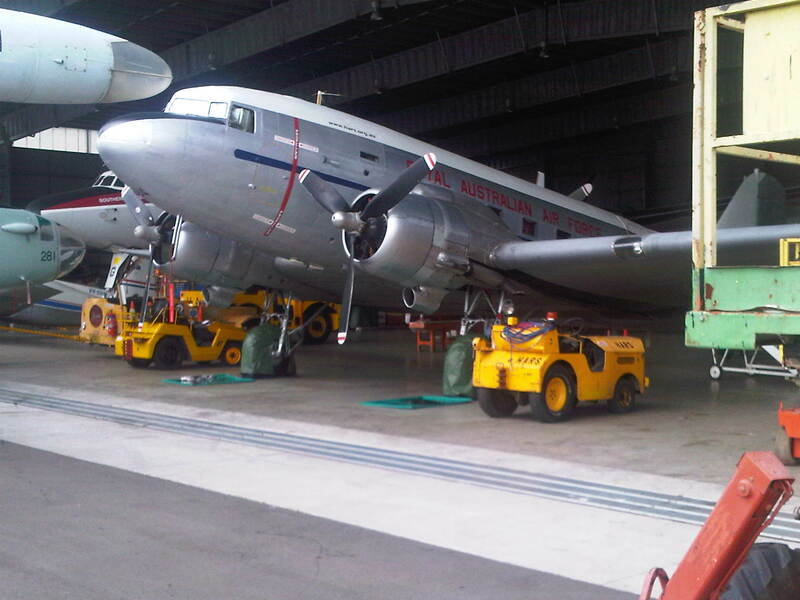 I quickly learned that despite the profusion of fuel cards available to me from the club, none of them worked on the bowser and we had to arrange with a company based in the adjacent hangar to purchase fuel (for which the club reimburses me). Seems stupid to have supposedly 24/7 automated AVGAS bowsers at regional airports when they either don’t accept fuel cards or are apparently often out of service. 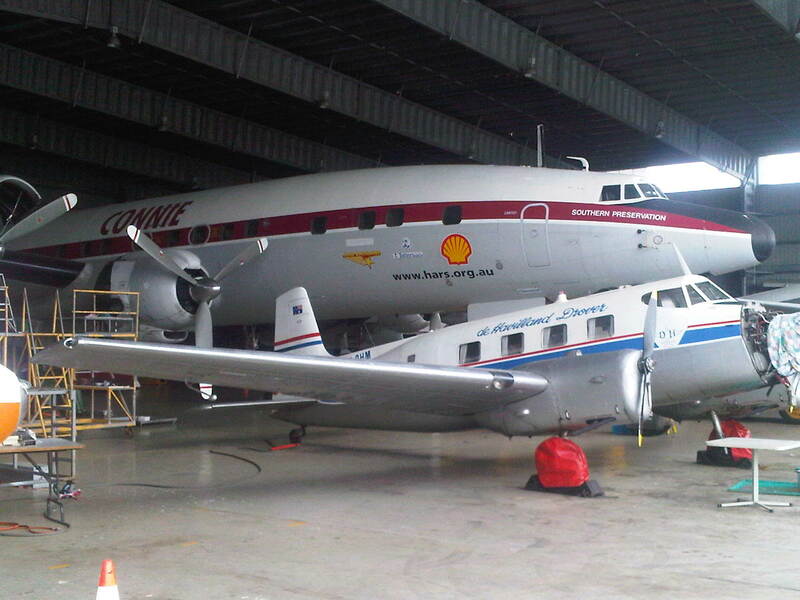 After refuelling the aircraft we had a quick lunch and then headed for home. 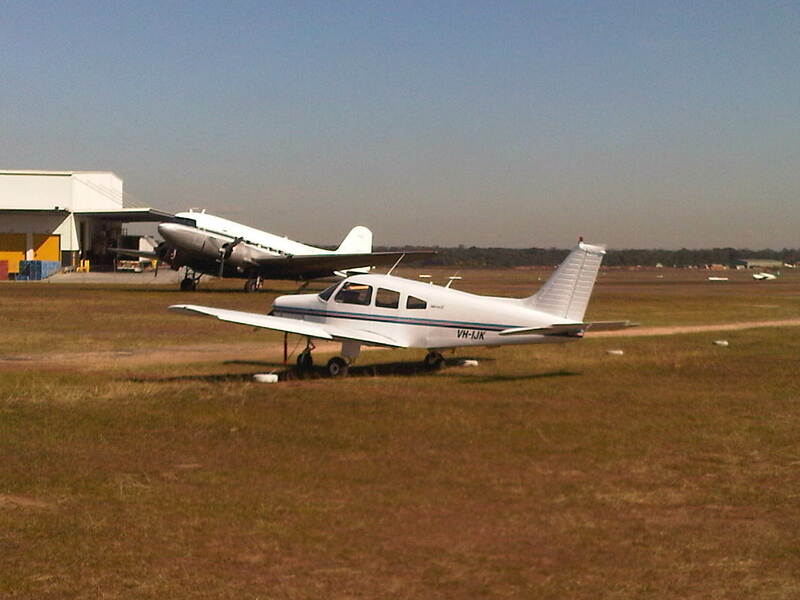 Run-ups and pre-flight checks done, we did an “enter and roll” call prior to the runway then lined up and took off. Climbing to about 5000 feet we got a call on the Orange CTAF from a REX (Regional Express) flight who had landed while we were having lunch. He was preparing to take off and just wanted to ascertain our position, heading and intentions so that he didn’t come shooting up the back of us! Very nice of him, I thought. 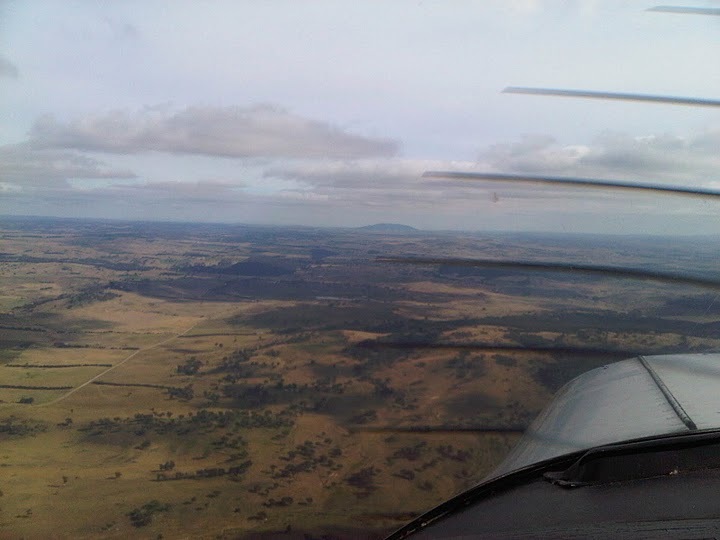 Tracking over YBTH (Bathurst), my instructor John then told me to do an unscheduled diversion to Oberon. Grabbing my VNC (Visual Navigation Chart), I scrawled a track from Bathurst to Oberon, eyeballed the required estimated track change (059 degrees, from memory) and the estimated time to Oberon (12 minutes), then turned for Oberon rather curious as to how good my diversion track was. I also (for the first time) called Melbourne Central to advise an amendment to my flight plan. Turned out it was on the money! Oberon appeared reassuringly, straight ahead, some 10 minutes later. Seat-of-the-pants dead reckoning navigation. While en route for Oberon I dragged out my protractor and figured out a quick revised track from Oberon to Warragamba Dam, which was more or less dead on. 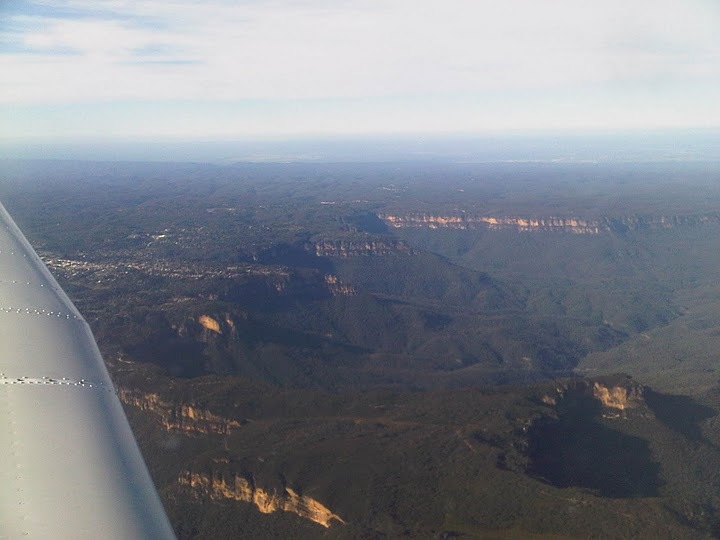 Over the Great Dividing Range and down into the Sydney Basin, noting Katoomba off to my left, descending to 1500 feet by the 2RN radio tower inbound reporting point, then joining crosswind for runway 29R and a rather nice landing to finish the day. 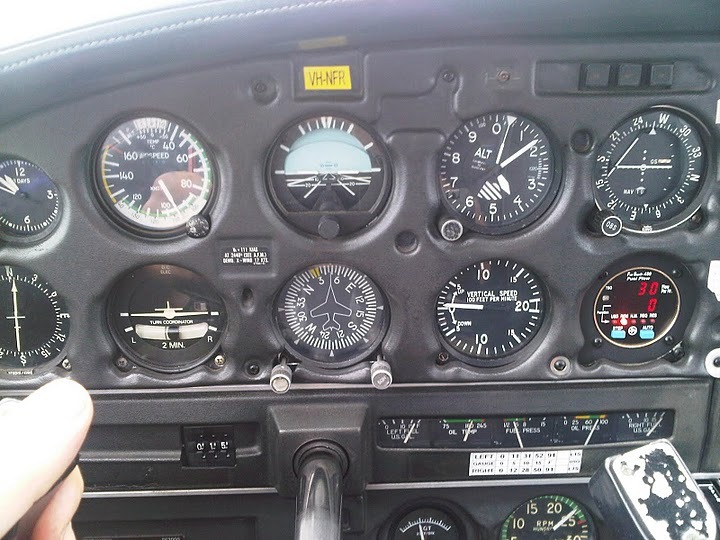 The weather was beautiful and cruising at 7500 feet was as still and smooth as could be. Flying at its best. I have been a bit spoiled by conditions in my first 2 nav exercises and surely it can’t continue this well, but you take what you’re given and it made for a very enjoyable nav exercise today. My confidence benefited enormously. 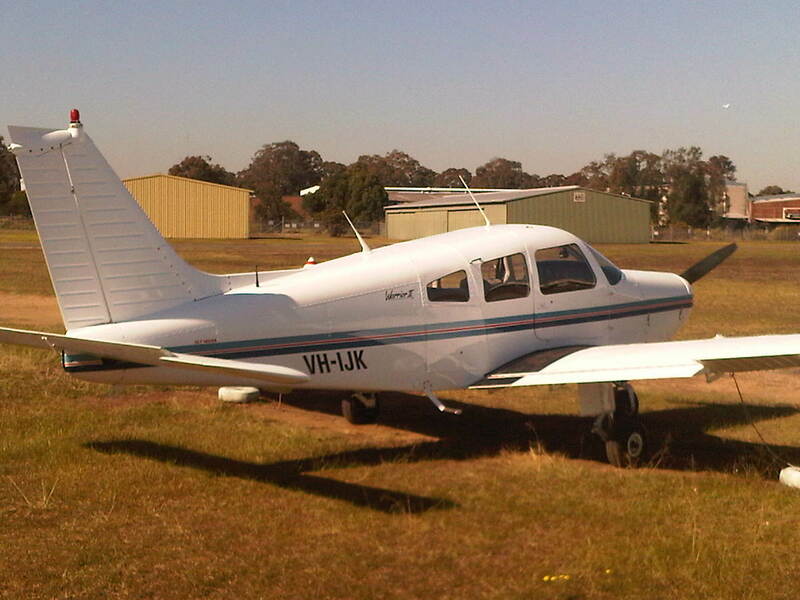 Off tomorrow on a return trip to Goulburn with Ashley, my instructor from my pre-solo and pre-area solo checkrides. 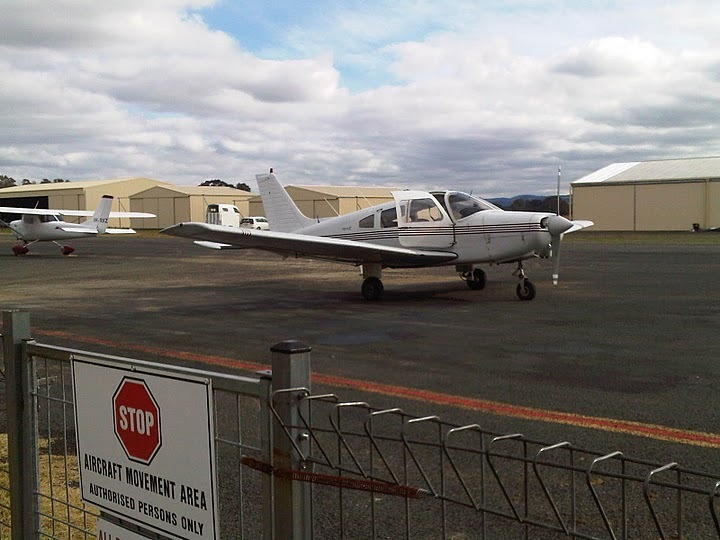 If tomorrow goes well, I may well be off for my first cross-country solo on Wednesday – likely a return trip to Cessnock (from my Nav 1 exercise) or Goulburn again. Stay tuned.